New for 2018, the Lofi with positive camber is the spring-loaded sister of the LoFi Rocker. Riders have been asking for a high-tuned camber board, so we took the Bamboo Single Barrel HotRods and true twin shape of the LoFi Rocker, and we loaded it up with the power and response that only positive camber provides. Peaks, parks and perfect dawn corduroy, the LoFi Camber is ready to charge. Underwrap fundamentals for everyday adventures. 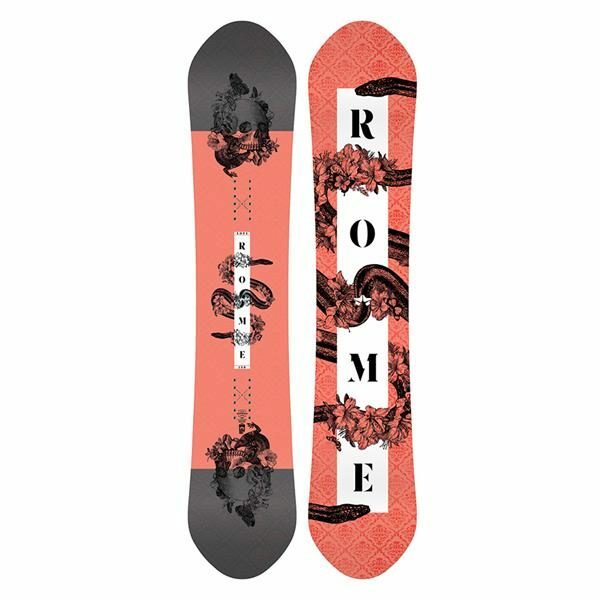 With performance driven by the simplified version of Rome”s Asym UnderWrap construction, the Flare brings Rome”s signature flex and power combination to a full spectrum riders. Three points of under-wrapping conection allows the Flare to smoothly flex side to side, while still laying down direct edge-to-edge response. 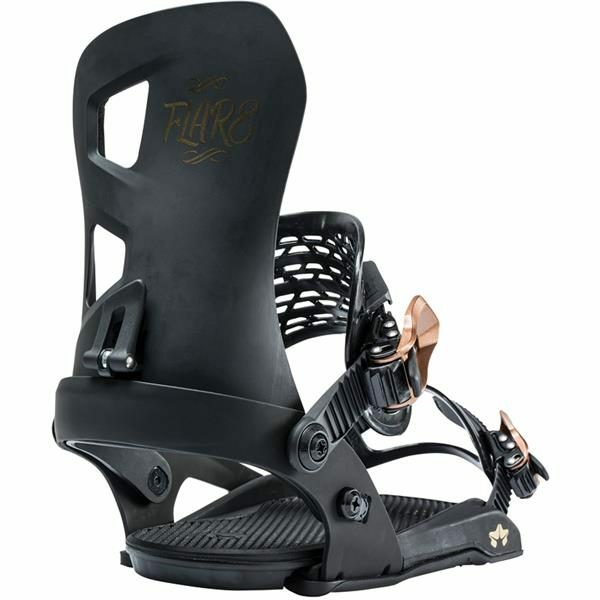 The Flare asym highback is shaped to the contours of a women”s calf to simultaneously deliver heelside control and unmatched comfort. 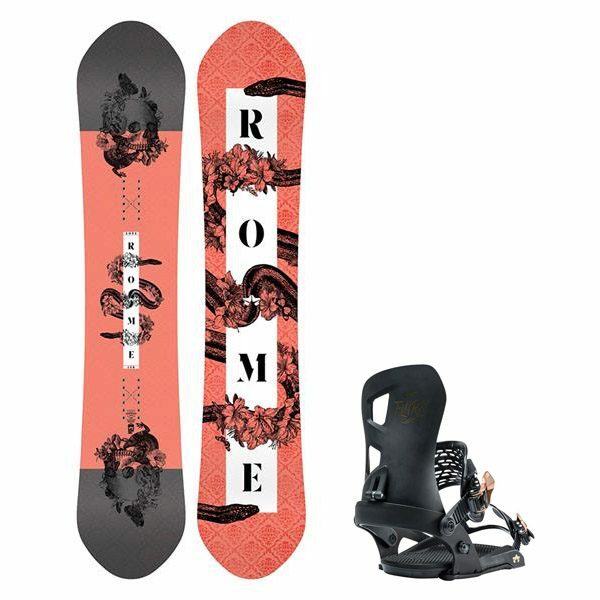 The result is essential all-mountain performance for mellow cruiser days and more technical sessions.